On the Delighted By Life & Business Podcast, we interview the Founders & CEOs of your favorite brands in the natural food & CPG industry. Get ready to be inspired (and delighted!) by the courageous stories & lifestyle tips from these badass leaders. Hosted by Makenzie Marzluff, Founder & Chief Breath-Taker of Delighted By Hummus. Makenzie went from living in a van and starting the company on her credit cards, to now running a multi-million dollar women-led organization that is the fastest growing hummus in America. 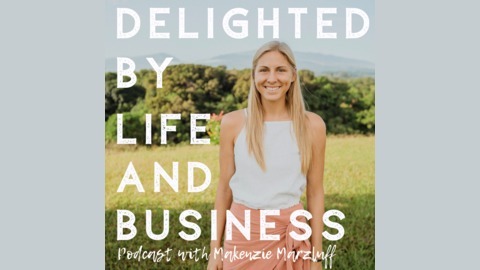 For more info on Makenzie, her mission, and her unique (heart-centered) approach to business, visit delightedbyhummus.com. Wild Friends is a passionative, youthful and DELICIOUS nut & seed butter company, started in 2011 and still going strong today. Erika and her co-founder Keely started Wild Friends at 18 & 19 years old, while they were in COLLEGE. They ended up dropping out their Sophomore year to pursue their venture full time, which I think is just the coolest. Erika said she has zero regrets, and despite the emotional rollercoaster over the last 8 years, the two founders have been (and still are) completely devoted to Wild Friends. I loved how much Erika honored her co-founder, and she spoke a lot about how this friendship & partnership has held her through all the tough times. Erika also speaks of the challenges within the industry, and how they maintain their core values behind closed doors. 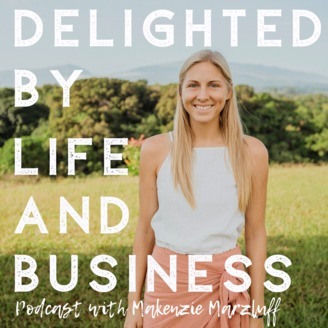 Learn about Makenzie, her story, the Delighted By mission and MORE in Episode 0!